Saigon Flea Market Tomorrow! | Hello Saigon! Last minute shopping, anyone? 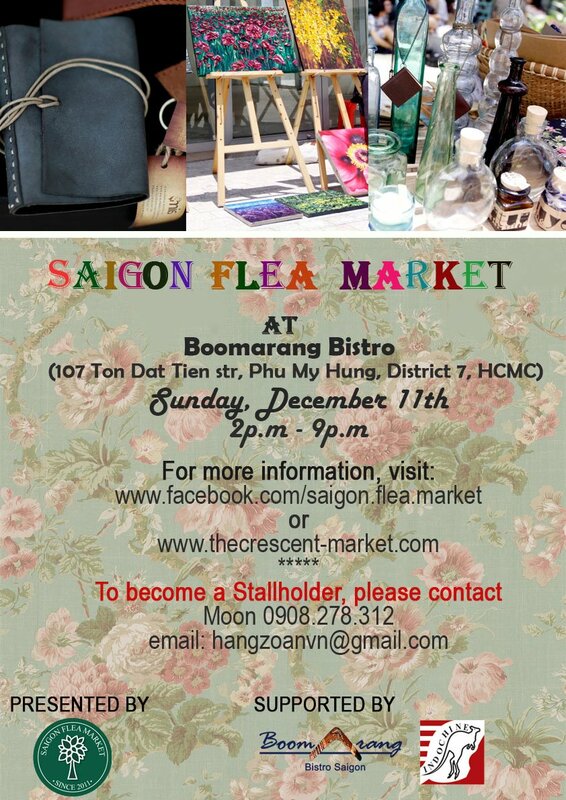 Have some friends setting up shop in the Saigon Flea Market tomorrow happening at the Crescent in Phu My Hung. This entry was posted in Event and tagged Boomarang, Crescent, Saigon Flea Market. Bookmark the permalink. 1 Response to Saigon Flea Market Tomorrow! Pingback: Our First Christmas Gift | Hello Saigon!